Ancient Persian Cities: Until the accession to the Persian throne in 550BC by Cyrus the Great, the Persians were dominated by the Medes. He overthrew the Median rulers, conquered the kingdom of Lydia in 546BC and that of Babylonia in 539BC and established the Persian Empire as the preeminent power of the world. His son and successor, Cambyses II, extended the Persian realm even further by conquering the Egyptians in 525BC. 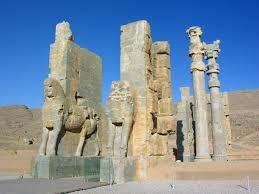 Persepolis was the chief city, or capital, of the Persian kingdom. Darius Hystaspes was believed to have founded it. However, today this place is in a condition of ruins situated in the valley of Schiraz, the wonder of the world. These ruins are an immense platform, as much as fifty feet above the plain, hewn partly out of the mountain itself while the remainder built of marble blocks from twenty to sixty feet in length. These blocks have been so nicely fitted together that the joints are scarcely noticeable. This platform is fourteen hundred feet long, and nine hundred feet wide, and faces the four quarters of the world. The ascent from the plain is made by marble steps, passing colossal figures, until you reach the gigantic columns, with their beautiful capitals, twelve to fifteen feet in circumference, and fifty feet high, which supported the cedar roof that protected the residents from the hot sun. 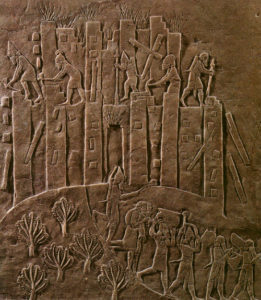 There are also rows of carved images, men of every nation and clime. However, in 330 B.C, Alexander burned the entire city. 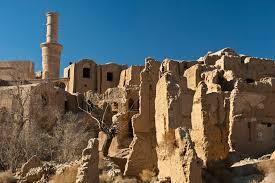 It is the winter residence of Darius, and of all the Persian kings after Cyrus. In gratitude for this decree, the Jews called the eastern gate of the Second Temple the Gate of Shushan. It is believed that a resemblance of the city of Shushan was engraved upon that gate. This was a city of the Medes, a beautiful place, and after the union of the Medes and Persians became a favorite summer residence of the Persian monarchs. In this city, there are tombs of Mordecai and Esther. However, the reason for the same seems to be a mystery though. It was in Ecbatana that Cyrus held his capital, and in its archives, therefore, was found the roll which proved to Darius that Cyrus had made a decree allowing the Jews to rebuild the Temple. 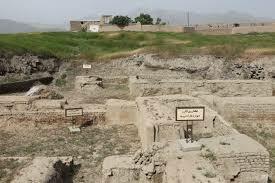 It is held by many that it was in this city of Ecbatana that Zoroaster made his first appearance.